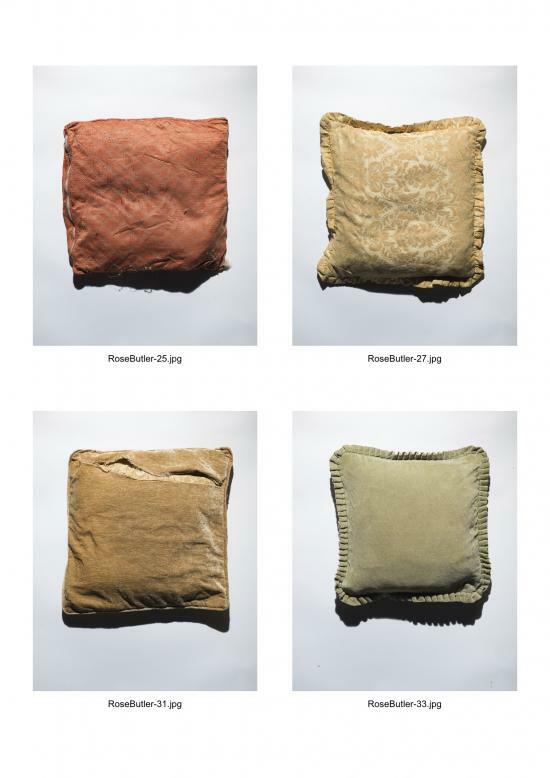 This series of photographs reveals eight layers of cushion covers which were hidden beneath the top layer. The covers were added over a 30 year period displaying textiles and pattern which commenced in the 1990’s and as each cover is removed travels back in time to the 1960’s to reveal a pillow stuffed inside a hand knitted cover. The series explores notions of duration, temporality, and history spanning the period of the Cold War. The images were made following a visit to the Stasi Museum; Berlin in response to the textile designs on the original chairs. 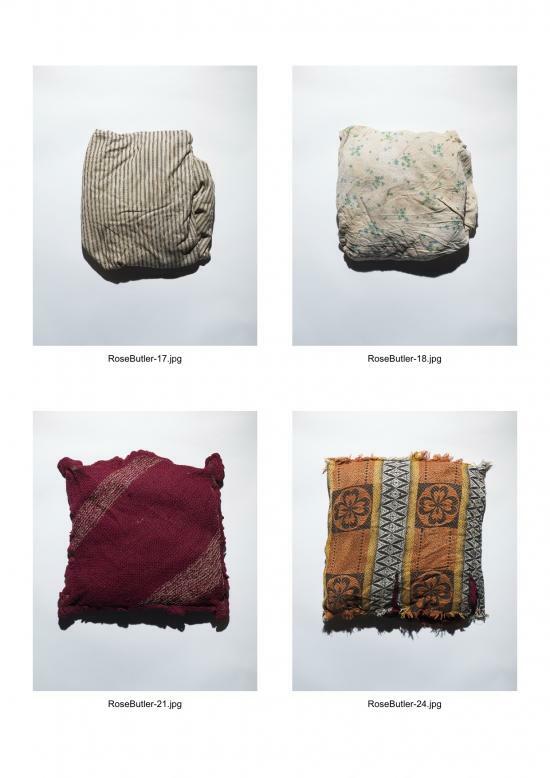 The Stasi used special cushions to collect scent samples to keep track of dissidents by hiding a cloth under the cover. A similar technique was used by German Police in 2007 to scent profile G8 activists. Collecting samples on the suspicion that people could protest or offend in the future clearly harks back to Stasi times, when security officials operated without any type of state limitation.